ChiswickW4.com, which claimed 50,000 unique visitors during January, has just gained it’s 15,000th email newsletter signup. Launched by the Neighbour Net group in 2000 to cover the W4 postcode area of London, Neighbour Net now boasts a portfolio of nine other hyperlocal sites in London, including EalingToday.co.uk and PutneySW15.com. 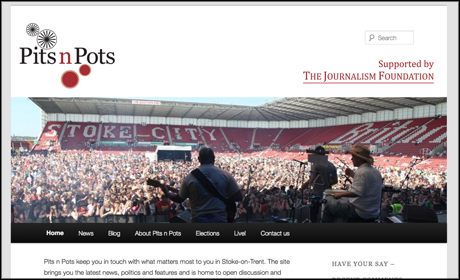 One of Neighbour Net’s directors, Sean Kelly, spoke to Journalism.co.uk about the site’s model. Who’s behind the operation of the website? 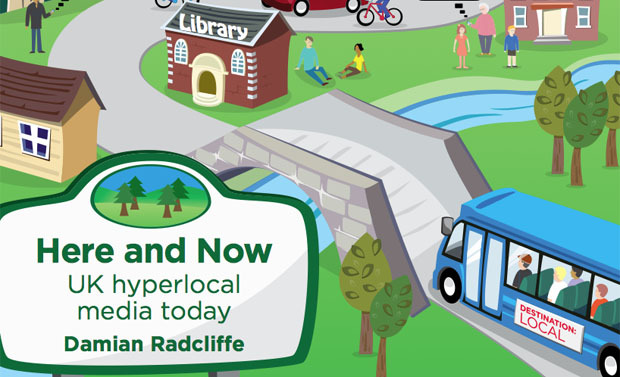 What inspired you to set up a hyperlocal site? The site was set up by Tony Steele and Sean Kelly who both live in the Chiswick area. The aim was to fill the gap in local news provision initially in Chiswick and then extend the concept out to other areas. Are your articles written by local contributors or do you have a dedicated team? We have a dedicated editor for each site and a significant number of other local contributors in each area. The contributions tend to be reviews – restaurants, concerts, theatre. There is also a central office resource for content production which can write stories when the editor is away. Is anyone employed to work full-time on the site? Yes, we have four full-time staff but that includes sales and back office. The aim on ChiswickW4.com is to be able to respond 24/7 to breaking news. Your site has a number of subtle advertisements – could you tell us a little about your business model? Nearly all our customers are small local businesses and they either have advertising packages which include banner display and newsletter inclusion or listings in our directories. We also like to be supportive of local independent businesses and like to write positive stories about them. Obviously we are more inclined to cover items about our clients but often feature non-clients as well. Do you have a social media strategy? If so, what social networks do you use and how do you use them? We put all our news content out on Twitter and Facebook as well as some aggregated feeds with local offers, events, jobs and traffic reports. The main use for us of social media is sourcing stories rather than broadcasting. It is particularly powerful for breaking news. We try and follow as many people as possible who live in the area to ensure that if something is kicking off locally we hear about it quickly. Why did you go down the newsletter route, rather than taking a different approach? Probably because in 2000 there weren’t really many alternatives but e-mail newsletters have proven to be the most effective broadcast method ever since. On a proportional basis they still deliver the highest level of response both for advertisers and in terms of click through to news items. How does your traffic for the Chiswick site compare with the rest of Neighbour Net’s sites? It makes up around 50 per cent of group total over the course of a typical month. On exceptional days sites like PutneySW15.com and EalingToday.co.uk can exceed Chiswick’s traffic. Do you have any plans to roll out new features on the sites? The plan is to increase the amount of user contributed content further although the editor will remain central to the story production process. Are you planning to expand? If so, where to? We normally expand contiguously so that people in the area may be familiar with the site and we can cross-sell to existing clients as well as provide editorial support from neighbouring sites. The most important determinant of where we launch is finding a suitably high quality editor. The plan is to recruit more actively once the content management system is up and running. ChiswickW4.com can be found on Twitter as @ChiswickW4. This entry was posted in Citizen journalism, Hyperlocal, Local media, Online Journalism and tagged ChiswickW4.com, hyperlocal site, Neighbour Net group, social networks, success on March 8, 2012 by Gaz Corfield. 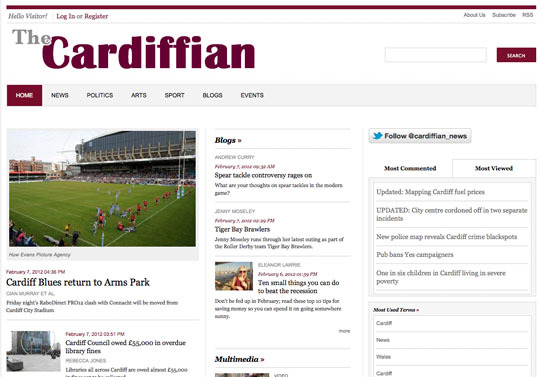 Trainee newspaper journalists from Cardiff School of Journalism have relaunched the Cardiffian, a hyperlocal. One of those involved, Tom Rouse, explains how it is run. The news site is staffed by trainee newspaper journalists at Cardiff School of Journalism. With 29 reporters, each assigned their own patch, we are able to cover a large part of Cardiff at a ward level and cover a depth and breadth of stories which engage with communities on their own level. The site was originally set up for last year’s students, so our focus this year has been reviving a site which has lain dormant since April and rebuilding ties with local community groups. This background means we have not had to build a readership from scratch, but has presented a different challenge in ensuring we offer something different from what is already out there. Fundamentally, the Cardiffian is a news site and a chance for us to put our work in a real world setting. The majority of our second term is dominated by our first efforts as journalists in sourcing stories and producing a paper. As this paper is produced as a training exercise it allows us to make mistakes in a safe environment. Putting our work up on the Cardiffian builds upon this by giving us an invaluable opportunity to gain feedback from readers about the stories we’re writing and understand what works when presented to an audience and what doesn’t. But, we are hoping to make the site far more than just another source of news in Cardiff. We want to fill the niche in the local online community which was left vacant by the demise of Guardian Cardiff and act as a hub for a variety of content, not just our own. The key point of the site is to help our students learn about the ways in which the industry is changing, to understand content and community strategies and build a living portfolio of work. It is also an opportunity for them to engage with groups in Cardiff and try and help them get their message out. The first year was very much a news site, which worked well in its run and received good feedback. This year is more about involving members of the community in the site and trying to understand and support an online community that is interested in what is happening in the city around them. The site is also a bit more of a lab than other parts of the course and gives the students the opportunity to explore ideas that may be of interest to the community and suggest changes to platforms and strategies based on genuine feedback from them. This entry was posted in Citizen journalism, Hyperlocal, Online Journalism and tagged Cardiff, Cardiff School of Journalism, Citizen journalism, journalism students, The Cardiffian, trainees on February 8, 2012 by Tom Rouse. New online noticeboard, n0tice, which is owned by the Guardian Media Group, today announced the launch of an advertising platform which will enable noticeboard owners to earn revenue. Outlining the model n0tice says owners will take an 85 per cent revenue cut, while the platform gets the remaining 15 per cent. Posting an offer on a noticeboard is self-serve and free for n0tice participants. Offers can then be upgraded to a Featured placement for £1/day (or the equivalent base-level regional currency). Featured positioning includes both a visual enhancement and priority ranking on the page. Alongside the new revenue platform, n0tice also announced the addition of other new features in today’s post, including geoRSS and the ability for each user to have a number of noticeboards. Read more on n0tice here. This entry was posted in Hyperlocal, Local media and tagged community, n0tice, noticeboard, The Guardian on December 12, 2011 by Rachel Bartlett.